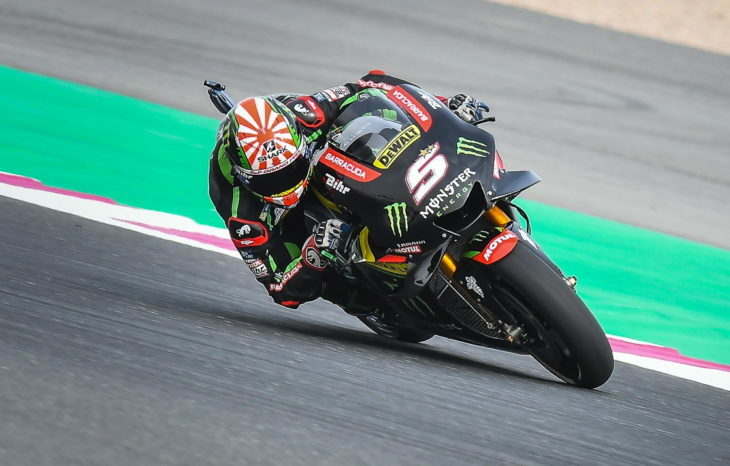 Johann Zarco (Yamaha) broke the Losail lap record earlier today to take pole position for tomorrow’s opening round of the 2018 MotoGP championship. On the front row with Zarco will be Marc Marquez (Honda) and Danilo Petrucci (Ducati). Take a look here for tomorrow’s full grid, and stay tuned for a race report from MD. And THAT was on a dirty, dusty track after some strong winds were blowing. Imagine if the track was clean? That was exciting! Even QP1 was good for a change. Bodes well for some tight racing. How nice to see some different names on the leader board! How nice it is to see some different names on the leader board! That was a very exciting qualifying. Can’t wait for the race! The last qualifying lap was incredible with 3 actually breaking the lap record…Zarco just broke it the most. Oh and Vinales might hang himself tonight in his hotel room and get it over with. He’s off to a terrible start.